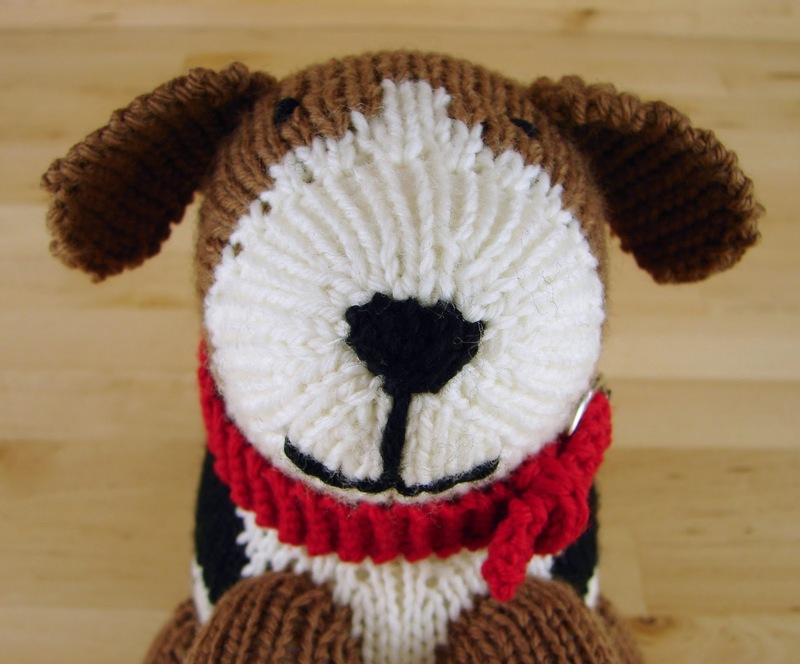 Auntie Em's Studio: Puppy Dog Playset Pattern now available! 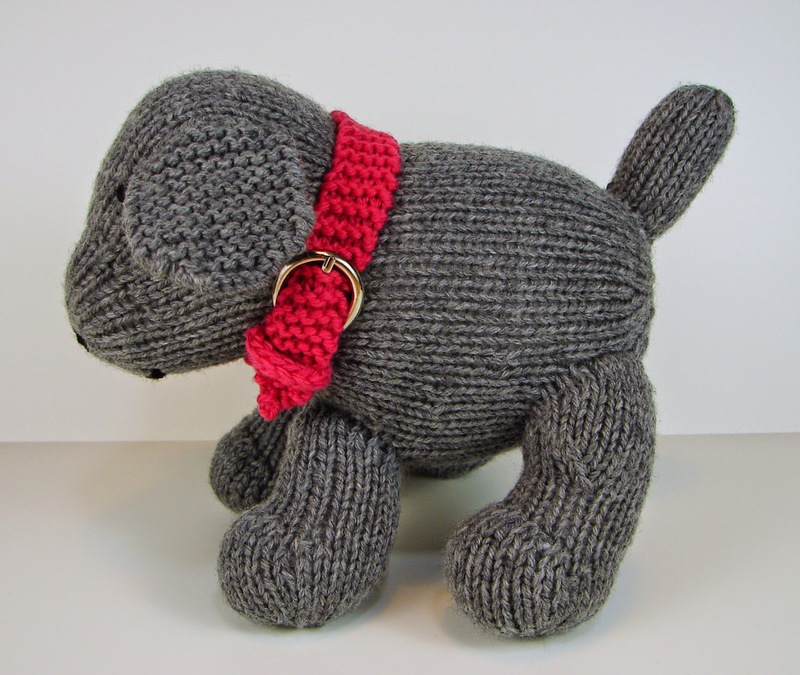 Puppy Dog Playset Pattern now available! 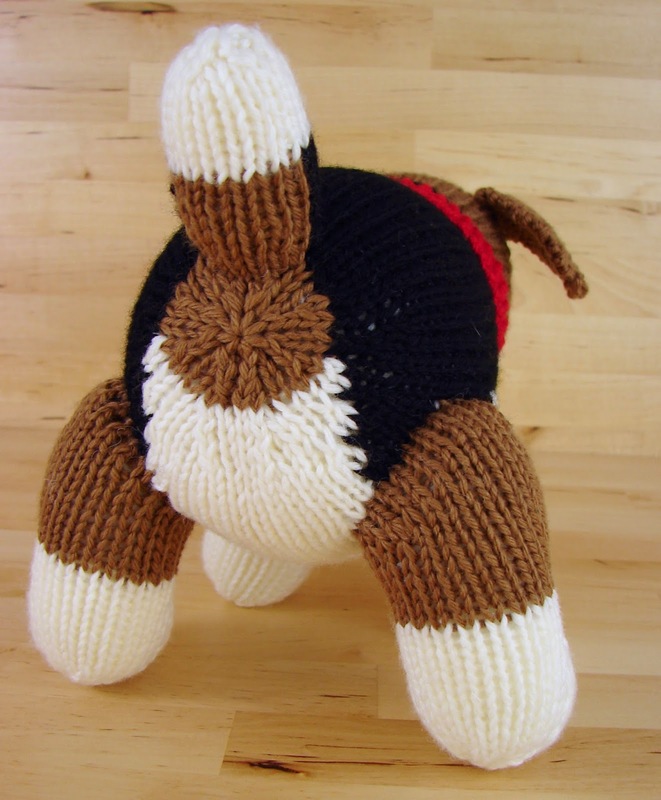 It took a lot longer than I anticipated, but I finally finished the Puppy Dog Playset Pattern! I'm really happy with the finished product and it was definitely worth all of the hard work. The pattern is 18 pages long. 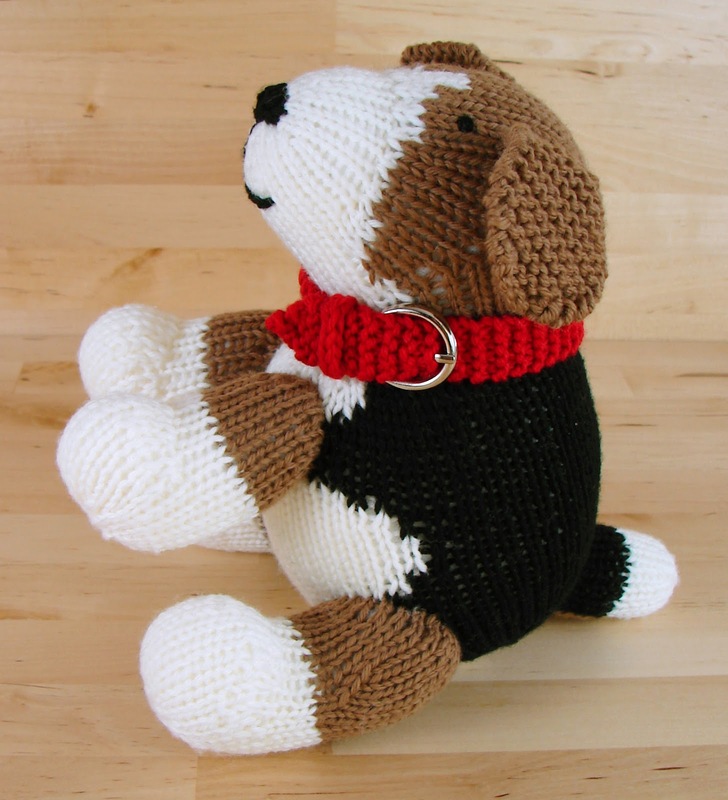 It includes a title page with table of contents, pattern information, written instructions for the Beagle, a chart for the Beagle, written directions for a plain dog, written directions for accessories as well as abbreviations. I formatted the pattern so that the knitter can choose which sections they want to use so that they don't have to print the whole 18 pages. 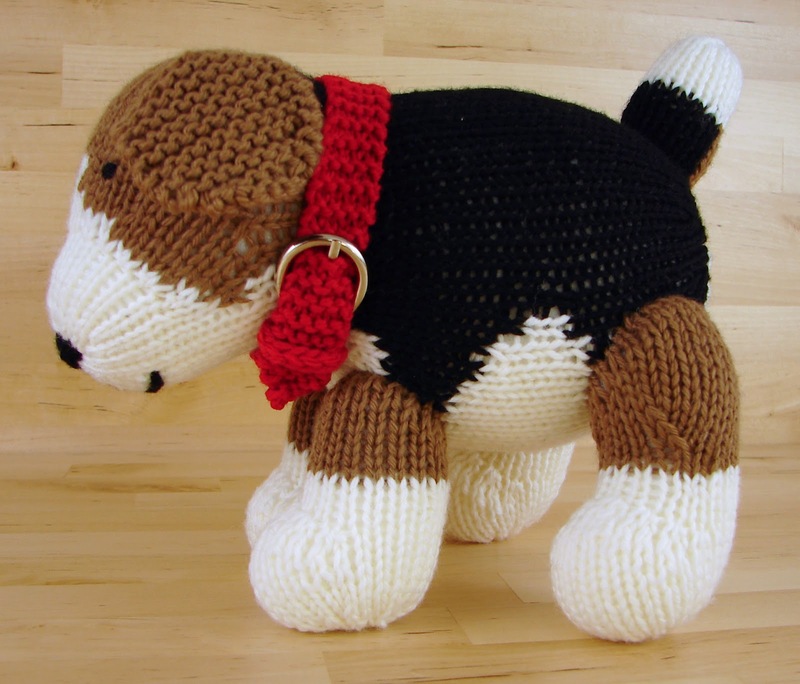 If you only want to knit a solid colored dog, you don't need to print the Beagle instructions and chart. I made quite a few changes to the original pattern to get all the shaping the way that I wanted it. The idea is still the same, but everything looks a lot smoother. I added some short rows to the front legs to make them attach to the body at a slight angle the way the back legs do. I also added short rows to all four feet so they would look more paw like. Short rows now shape the stomach of the puppy and are still used to form the top of the head. I know that's a lot of short rows, but I find that it is a very useful technique when shaping three dimensional objects. By far my favorite feature of this pattern is the food and water dishes. 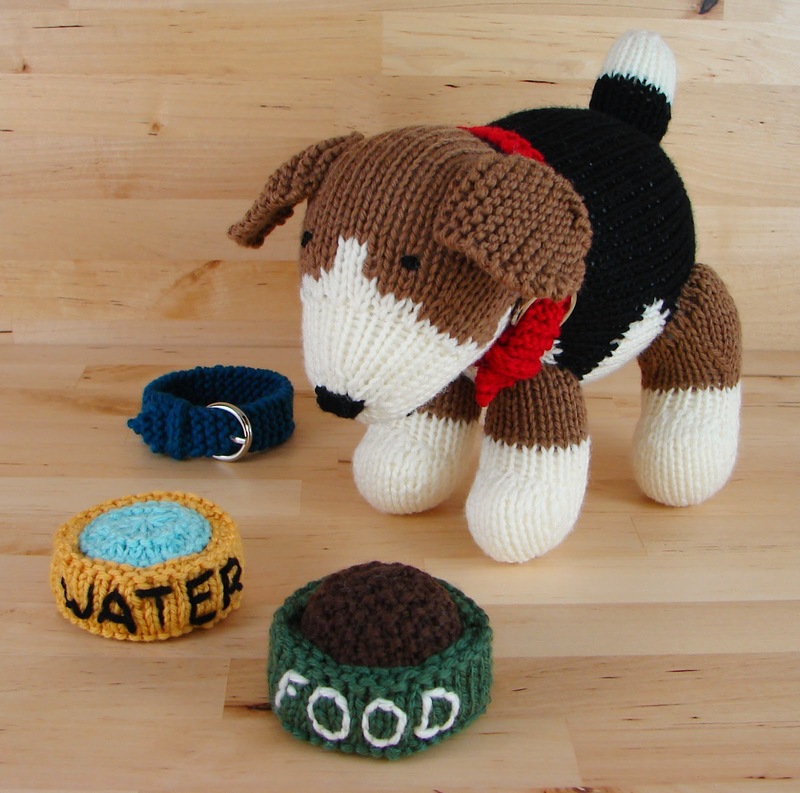 I love that kids will be able to feed and water their toy puppy. The dishes are great for make-believe play. Empty food and water dishes. 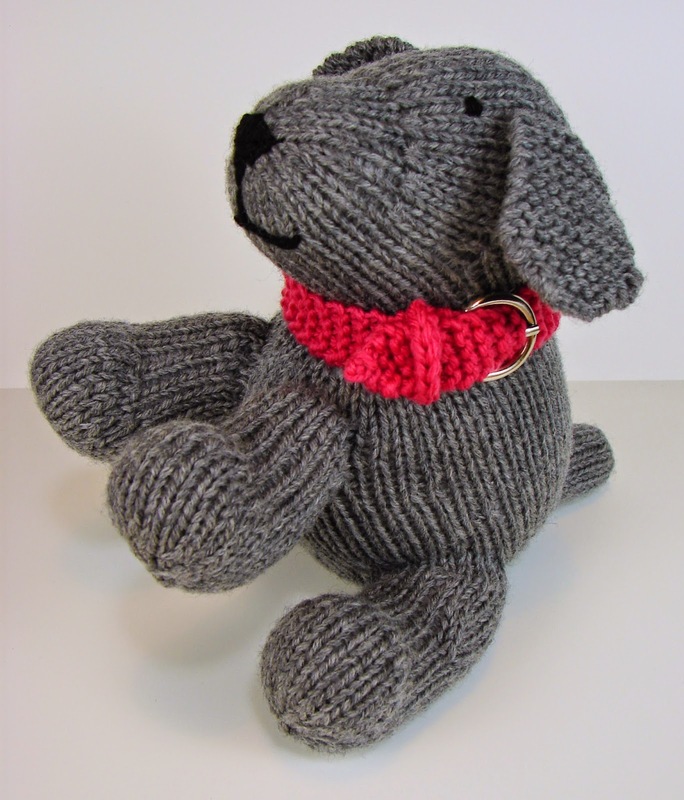 Some of the first versions of the puppy. 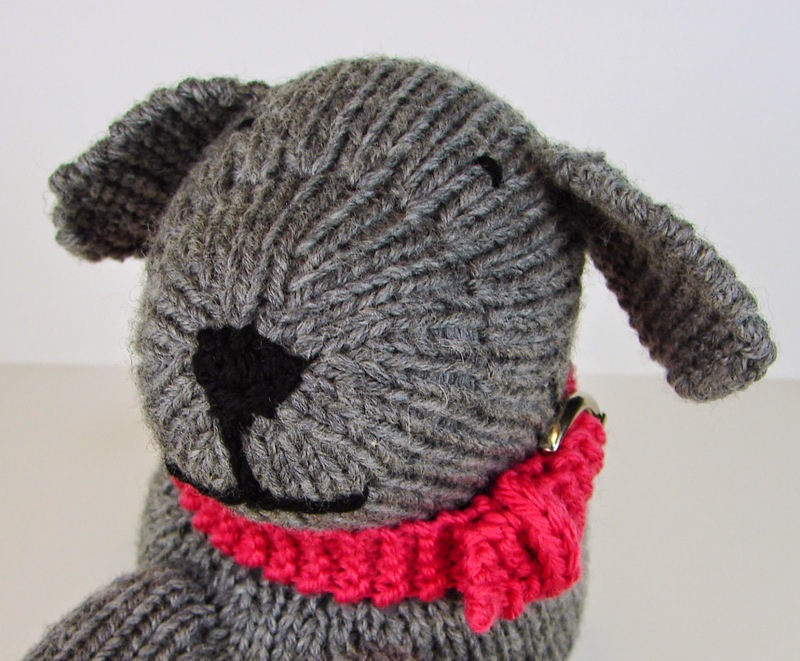 I made several puppies in the process of working out the shaping. 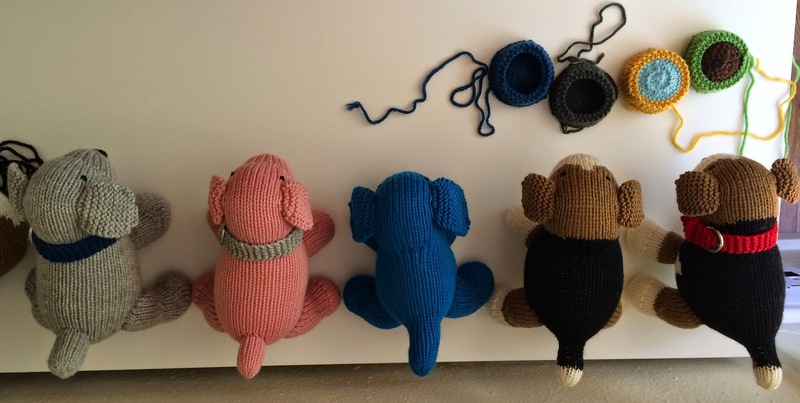 At one point I didn't have enough yarn in any neutral colors, so I made a pink puppy and a blue puppy. 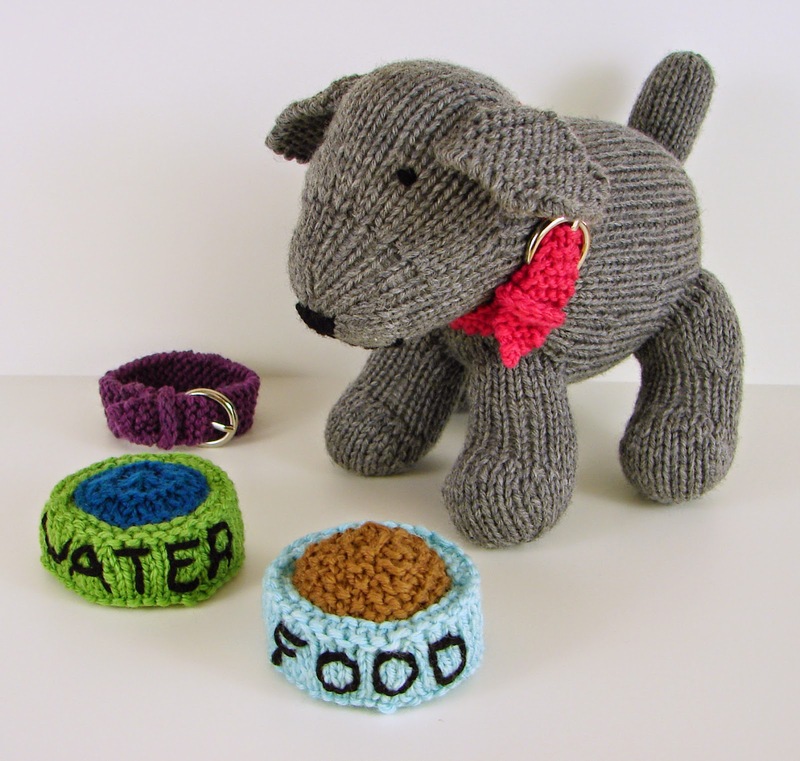 All the puppies will have bowls and collars soon and should be added to my etsy shop in time for the holidays.